Miniature rosettes, about 3 cm across, native to Mexico. It is small and prolific so it will fill the pot as a ground cover. Jade green waxy leaves. Yellow campanulate flowers appear in spring. Frost sensitive. Water abundantly in summer and keep dry in winter. 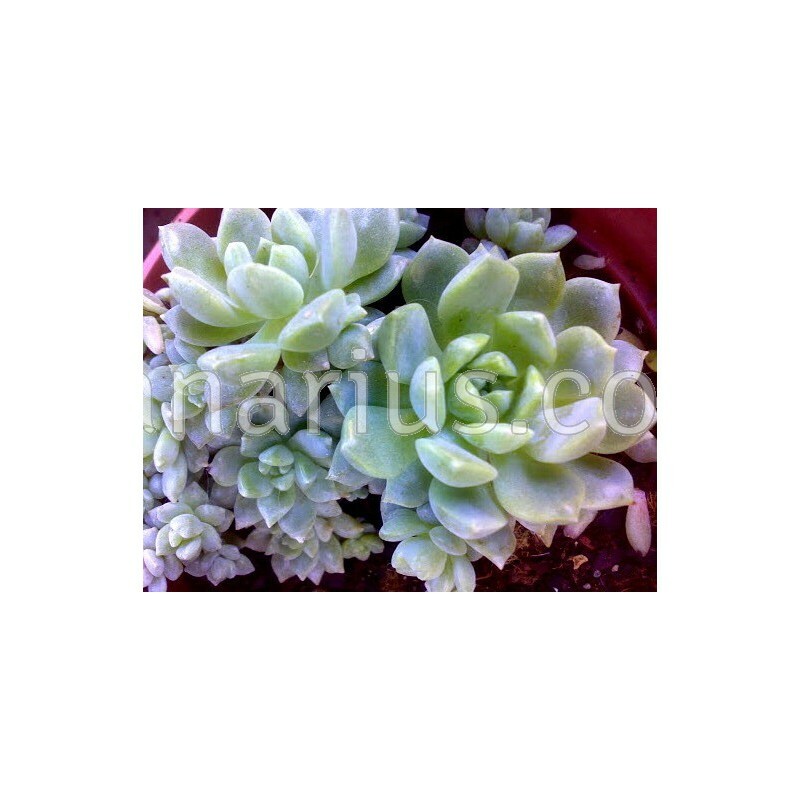 We offer a plant of the following size: Large, branched, Cont.= 5 cm. Container size will just give you an idea of the size of the plant, because Crassulaceae are sent bare root. These plants are very tolerant of bare-rooting. We ship worldwide. Visit THIS LINK and see some pictures of our exotic plants on the packing desk - learn more about what we ship, including some Crassulaceae.